The American Highland Cattle Association Annual Convention will be held in conjunction with the NCHCA Sale in June. Events are scheduled at Cobblestone Farms and Four T Acres. Educational sessions as well as social opportunities are being planned. This will bring additional attention to the 2nd Annual Highland Cattle Production Sale. The sale committee reported that there is already significant interest from both potential consignors and buyers. The sale will be limited to 50 lots, so members are encouraged to submit consignments soon. For more information, check out the SALE PAGE. Members were recognized for their service to the organization. Outgoing officers Jan Larson, Secretary, and Billy Johnston, Treasurer, are turning over duties to new officers, and their contributions were recognized. Much appreciation goes to them for many years of tireless service. 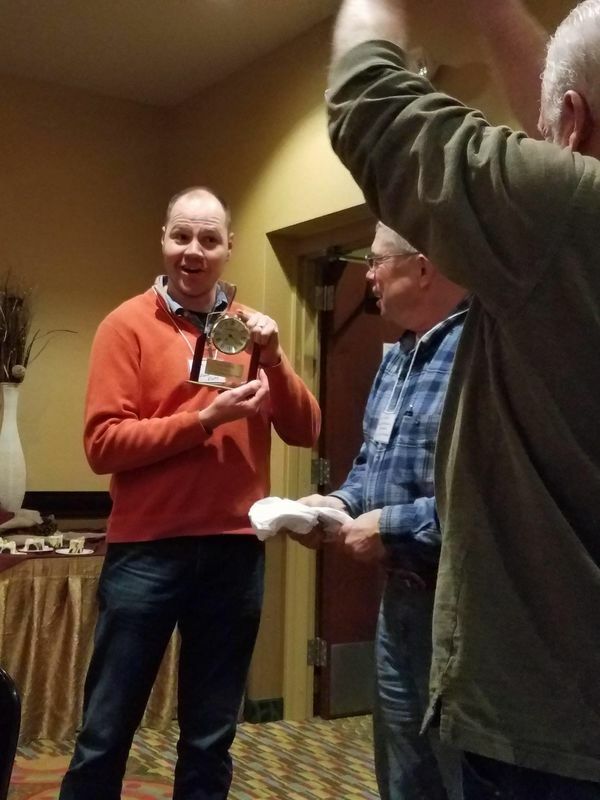 Josh Krenz received an outstanding service award for his contributions to the NCHCA. Josh was a key contributor to the success of the 1st Highland Cattle Production Sale, oversees the production of the Hoofbeat, and is very active with the national association as well. Congratulations, Josh! On Sunday morning, members were treated to a great presentation by Anne Proctor of Windemere Farms on animal nutrition. The information provided was helpful to both new and experienced members. Click HERE for a copy of the presentation. Special thanks go to Jan Larson for the great job she did planning and organizing the event. Looking forward to next year!